The Book Life: "Month of Cinder" officially starts NEXT WEEK!! We have so much in store for you guys this month. Thanks to the amazing blogging community, I have acquired some awesome guest reviews, guest posts and cool photos! There will be posts about music, fan fiction, and a really fun project I've cooked up involving (literally) the book! We'll also have a guest post from Marissa herself! 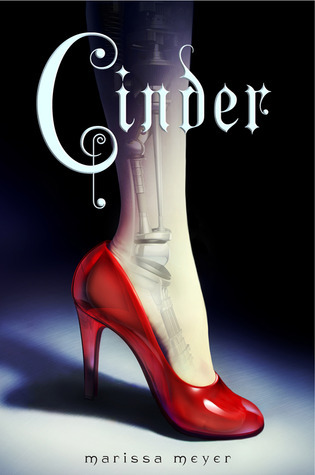 We'll also be tweeting all month for the event, using the hashtag #monthofcinder, so come join in on the twitter fun! AND...what's a month long Cinder event without some fabulous giveaways?!? Well, we've got 'em! Marissa Meye was lovely enough to donate some awesome stuff for prizes, which I will reveal as the giveaways get started! The excellent people at Macmillan have also donated some Cinder goodness, and I'll be providing a book or two myself. I've also procured some really cool magnets, from excellent artist Michelle @ Passionate Bookworm, that are super pretty and have special ties with Scarlet (book two in The Lunar Chronicles)! Eee! :D I'm excited. I'll have to read Cinder as soon as I finish Probability. Love it! Can't wait till the #monthofcinder begins! sweet i cant wait..i just purchae Cinder a couple of days ago and i cant put it down i love it. I look forward to joining the fun! I fell in love with Cinder a month ago, and can't wait for more Cinder fun to come my way! Yes, it'a a definite must read! I LOVE CINDER! I actually just posted a giveaway for a signed copy of the book on my blog today. I met Marissa Meyer at an Author Talk here. I am definitely going to check back for your #monthofcinder.